Bring your ideas to life & Make your brand stand out. This slim box style is perfect for showcasing smaller products. An elegant approach to packaging, the rigid gift box just oozes with luxury. The best way to ship out your goods but with an added WOW factor. The shipping box is your big ol' moving box. Custom printed with your branding. Create your own packaging with just a few finger taps! We offer many different box styles and sizes. 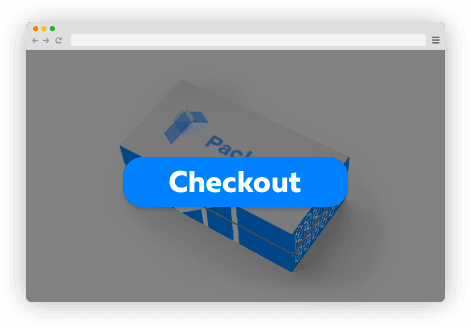 Choose the one that fits your product’s needs and start designing in 3D. 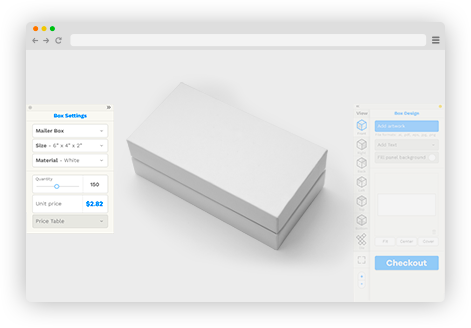 Showcase your creativity and customize your boxes, add your logo, custom text, background color, upload images or even upload your own artwork. Hit checkout and our team of packaging specialists will manually review your artwork and make sure everything will be just as you intended before going to press. Just like you, we believe that an exceptional package will create a memorable first impression. 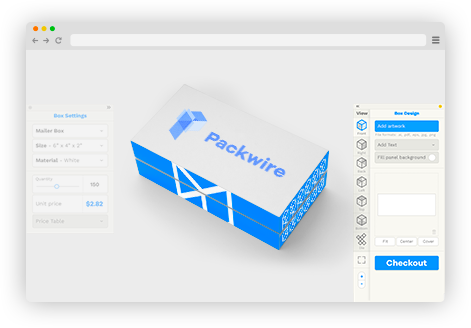 That’s why Packwire offers nothing short of the best.